Atlas Molecular Pharma was founded in Biscay (Spain) in September 2015 by the Centre for Co-operative Research in Biosciences (CIC bioGUNE) and the Venture Capital company CRB Inverbio. Our business model is to discover first-in-class, innovative therapeutics for the treatment of Rare and Ultra-Rare Diseases and license them to larger partners who will deliver them to market for the patients that need them. Patient’s with Rare and Ultra-Rare diseases, and their families who care for and support them, face significant and numerous challenges in their daily lives. Our focus is to use our innovative approach and expertise to discover new treatments, which these patients not only need but also clearly deserve, in order to improve their quality of life. Atlas Molecular Pharma has a proprietary technological platform approach (CHASSYS™) which it plans to further develop and exploit to act as a “drug discovery engine” to deliver therapeutics (termed pharmacological chaperones) for the treatment of a range of Rare and Ultra-Rare Diseases. By designing and discovering pharmacological chaperones (drugs) which associate to these enzymes and stabilise them, we will be able to resolve the corresponding pathology of the disease and have a significant positive impact on patient’s lives. Emilio has 28 years of experience in the pharmaceutical industry where he has held different responsibilities and senior roles. Over the years, he has lead multidisciplinary international research teams spanning from target identification to clinical candidate selection. Among his various roles, he was VP and Site Head of the GSK Drug Discovery Centre in Madrid with participation in more than 300 Drug Discovery programs and contribution to the identification and preclinical development of over 80 Lead and Candidate molecules. Emilio has also broad experience in collaborative projects with Industrial partners and Academic laboratories worldwide. Before joining Industry, he held different positions in Academia, initially in the Department of Medical Pathology at the University Hospital of Madrid (Spain), and later in the Department of Biochemistry at the University of Massachusetts Medical School (US). During these years, he focused on the role of G-protein coupled receptors in the activation of signal transduction pathways with special interest on the regulation of intracellular phospholipases and their role in disease. 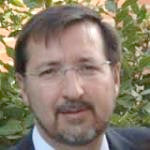 Emilio has been very active in the development of the Society for Laboratory Automation and Screening (SLAS) where he served as Director on the SBS Board and as Chairman of the SLAS European Council. 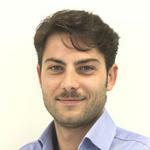 He has been very active in the creation and development of the Spanish Drug Discovery Network (SDDN). 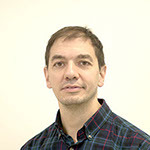 Óscar is currently Group Leader at the Structural Biology Unit of the CIC bioGUNE, has published 55 papers and has in-depth expertise in the use of nuclear magnetic resonance (NMR) for the study of biologically relevant proteins and enzymes and has been central to the development of technology for the discovery of pharmacological chaperones and the exploration of new therapeutic intervention lines against different Rare Diseases including Congenital Erythropoietic Porphyria (CEP). Joaquín obtained a Degree in Pharmacy (Univ. Navarra, 1992). After obtaining a PhD in Science (University Autónoma of Madrid, 1996) he performed post-doctoral research (1998-2003) first at Center for Animal Health (CISA -INIA) and then at Serono Pharmaceutical Institute in Switzerland. In 2004, he became Assistant Professor, first at the University of Texas, Medical Branch and later at Scripps (Florida) from 2006 leading an independent group. 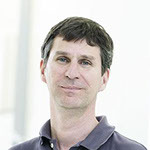 In 2009, he was then the recipient of an IKERBasque Research Professor and currently he is a Group Leader at the Proteomic Unit of the CIC bioGUNE (Center for Cooperative Research in Biosciences, Biscay, Spain). Juan obtained a Degree in Biology (Univ. Sevilla, 1994) and a PhD in Biological Sciences (“Alberto Sols” IIB-UAM, 1999) studying yeast as model for cystic fibrosis. He then occupied three postdoctoral positions; one in UAM (Madrid, 1999-2001) studying Walker-Warburg Syndrome, in UCLA (Los Angeles, 2001-2005) studying Hermansky-Pudlak syndrome, and through a Ramon y Cajal Program he incorporated into CIC bioGUNE (Bilbao). 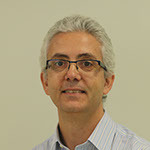 Since 2010, Juan has been an Ikerbasque Research Professor leading the exosomes laboratory and the metabolomics platform in CIC bioGUNE with research lines focused in on the discovery of low-invasive biomarkers and novel therapeutics tools for metabolic and rare- diseases. Ganeko obtained a Degree in Biochemistry (University of Basque Country, 2011), a Master Degree in Molecular Biology and Biomedicine (University of Basque Country, 2012) and a PhD in Molecular Biology and Biomedicine (University of Basque Country, 2012). During his PhD he studied the calcium gating mechanism of a voltage-gated potassium channel based in NMR technique. In this period he got a Short-Term Fellowship in King’s College University (United Kingdom, 2015) where he gained expertise in Molecular Dynamic simulations and Bioinformatics. Since 2016 he is member of Atlas Molecular Pharma and he is involved in CHASSYS(TM) platform. Hasier obtained a Degree in Biotechnology (Univ. Autònoma de Barcelona, 2010) and a Master’s degree in Microbiology (Univ. Autònoma de Barcelona, 2011) evaluating the use of Mycobacteria in the treatment of bladder cancer. He performed his PhD in Molecular Biology and Biomedicine (Univ. País Vasco, 2015) in CIC bioGUNE working on Transmissible spongiform encephalopaties focused on the interspecies transmission of these devastating neurodegenerative disorders. He has been working in the same institute as post-doctoral researcher during 2016. Luca obtained a Degree in Chemistry (University of Napoli, Italy, 2009), a Master Degree in Organic Chemistry (University of Napoli, 2012) and a PhD in in the framework of the international project Innovative Training Networks ITN-Marie Skłodowska-Curie (University Complutense de Madrid, 2016). 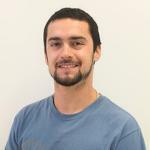 During his PhD he participated in several research projects in the area of glycochemistry focused on the structural characterization and dynamic behaviour studies of sugar mimics and sugar binding proteins, as well as in the characterization of molecular interaction events. This research work has provided him with training in nuclear magnetic resonance (NMR) techniques applied to the detection and characterization of ligand/receptor recognition events in solution. The experimental approach has always been supported by computational methods. 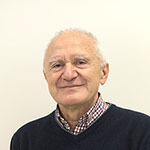 As a part of the PhD training, Dr. Unione did three stays in high level research groups, where he acquired additional skills in the fields of organic synthetic chemistry and computational chemistry. Since 2018 he is member of Atlas Molecular Pharma. Sandra obtained a Degree in Microbiology (University Autonomous of Barcelona, 2013) and a Master’s degree in Public Health (University of Basque Country, 2014). 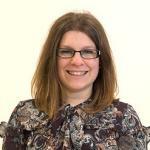 She is currently doing a PhD (Doctorado Profesional, MINECO) focused on searching new therapies against prion diseases. 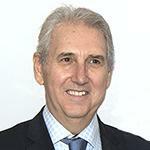 José María Mato is the founder and General Director of the Research Centers bioGUNE (Bilbao) and biomaGUNE (San Sebastián), and Research Professor of the Spanish National Research Council (CSIC), Spain. 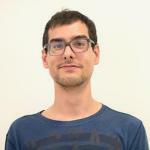 A graduate in Biochemistry at the University of Madrid, Professor Mato received a PhD degree from Leiden University and was awarded the CJ Kok prize for his thesis. He was a postdoctoral fellow at the Biozentrum of the University of Basel and the National Institutes of Health, and a faculty member at the Jiménez Díaz Foundation in Madrid before been named Research Professor at the CSIC. He has been Professor of the Faculty of Medicine of the University of Navarra and Visiting Professor at the University of Pennsylvania and Thomas Jefferson University. From 1992 to 1996 Professor Mato was President of the CSIC and in 2004 was awarded the Spanish National Research Prize in Medicine. He is the co-founder of OWL metabolomics in 2000 and of ATLAS Molecular Pharma in 2016. Dr. Castellon is a founder and currently serves as the President of the venture capital company Cross Road Biotech Inversiones Biotecnológicas (CRB Inverbio, Madrid, Spain). He holds degrees in Medicine and Surgery (UCM, Spain), Economic and Business Sciences (UAM, Spain), Public Health and Health Policy and Management (Harvard University, USA) and has had an extensive and distinguished career in medicine including: Internal Medicine (Hospital Clínico San Carlos de Madrid); member of the Social Security Medical Inspectorate; responsibility for the planning of INSALUD in La Coruña; Director General of the Galicia Health Service; Vice Director of Health and Social Services and later Undersecretary of the MSC; set up the Spanish National Centres for Cancer and Cardiovascular Research (CNIO and CNIC) and the Spanish Regulatory Agency, of which he was Executive Chairman until 2000. He has also collaborated as an advisor with various research foundations concerned with health sciences.